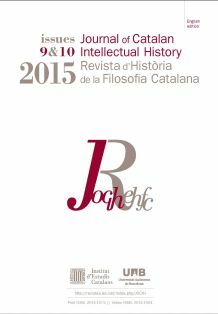 The JOCIH is a biannual electronic and printed publication edited by several universities of the Catalan speaking area (Autonomous University of Barcelona, University of Barcelona, University of Valencia, University of the Balearic Islands) and three Academic Societies (Societat Catalana de Filosofia, Societat de Filosofia del País Valencià, Associació Filosòfica de les Illes Balears), with the support of three Institutes (Institut d’Estudis Catalans, Institut de Dret i Tecnologia UAB, Institut Ramon Llull). The Issue (Volume 1, Issue 1 & 2, 2011) is the first publication of the journal. Please review the complete information for authors before beginnings the submission process.